Use the form below to send us your comments. 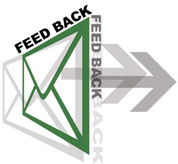 We read all feedback carefully, and send you the reply as soon as possible. NOTE: If you want to publish your modeling photographs & wallpapers, please send it in the size of 1024x768 pixel.